Mostly visited by group holiday markers, couples and families, Vista Oasis is a beautiful property built around a pool. It offers self-catering, half-board and all-inclusive boarding options to travellers looking for a relaxed holiday. This is also an ideal destination if you’re looking everything within pocket-friendly budget. There are plenty of sports facilities to keep the adults and kids engaged throughout the day. A large outdoor swimming pool that is complemented with sun loungers and parasols enables the guests to have unlimited fun in the sun. Kids can also have fun in the adjoining kids pool. 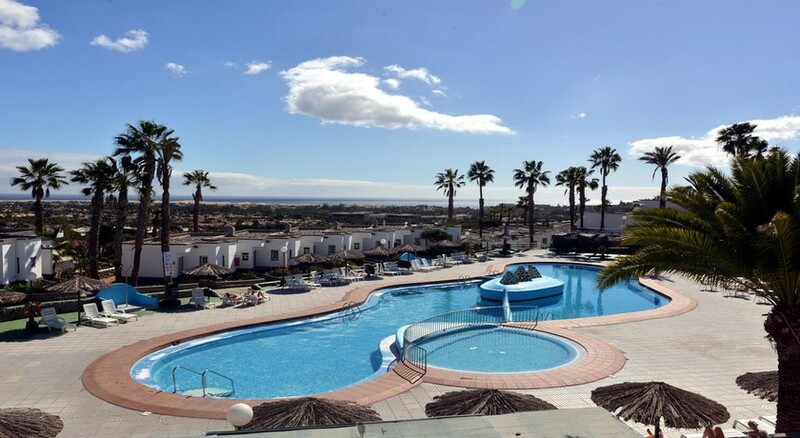 The best and the foremost aspect about this hotel is it is near to innumerable seaside towns such as such as Costa Meloneras, San Agustin, Montana Blance, Montana de la Arena, Arguineguin, Lomo Galeon and more. 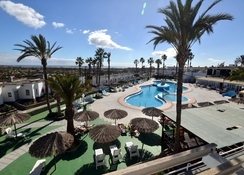 The Vista Oasis is a 2-star hotel located in Sonneland, Maspalomas. The Maspalomas Beach is about 5km from the hotel—free shuttle is available. You will find a supermarket (Spar) up the road, but for more options you have to visit Playa del Ingles—also there are a few restaurants around the hotel, but Playa del Ingles offers more options. Maspalomas Golf (3.1 km) and Lopesan Meloneras Golf (5.6km) are two golf courses around the hotel in case golfing comes to your mind. The beach is a paradise for water sports lovers, even otherwise the famous Dunas de Maspalomas if hardly 20 minutes on foot, where you can have a gala time with friends and family. You may also consider trekking and hiking to the barren mountains. The nearest port is Pasito Blanco, which is about 5km from the hotel, while the closest airport – Gran Canaria Airport is about 32.2km. 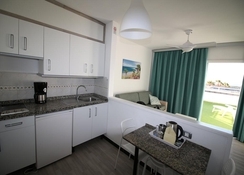 The Vista Oasis houses 130 functional guestrooms, all fitted with a kitchenette. 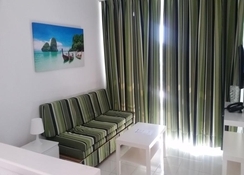 The rooms are categorized as Bungalow, One-Bedroom Double Room, Single Room and One-Bedroom Apartment. Simple in terms of décor, yet modern, all the bungalows also feature sofa bed and couches in the living room. You will mostly find twin beds across the rooms—and do approach the front desk for extra bed and crib. Kitchens have dining table and chairs, fridge, toaster, electric hob, and other basic kitchenware. Other facilities common in the bungalows are telephone, TV with satellite, en suite with bath amenities, safe deposit box, and Wi-Fi internet. Balconies are another common feature, they offer either pool view or ocean view, depending on the location. Housekeeping service is provided five times a week and towels and linens are changed regularly or whenever required. The hotel offers half-board and all-inclusive boarding options. The main restaurant serves scrumptious breakfast, lunch and dinner in international buffet style. The continental breakfast spread offers many options, in terms of food and beverage varieties. Lunch is mostly Mediterranean in style, but for dinner the chefs do present various local and international selections. You can also choose to sit for dinner at the speciality restaurant that offers a la carte menu catering to authentic local items. During day time, the snack bar is the hip destination, as this is where you will get scores of delicious light meals and snacks and alcoholic and non-alcoholic beverages. And in the evening the indoor main bar features an extensive alcohol menu, including cocktails, mocktails, beer, wine and other local and international brands. One of the pools of Vista Oasis will remain closed from 15th January 2019 for approx. one month for reparation works. The resort has two pools, so the other pool will be available for customers during this period.